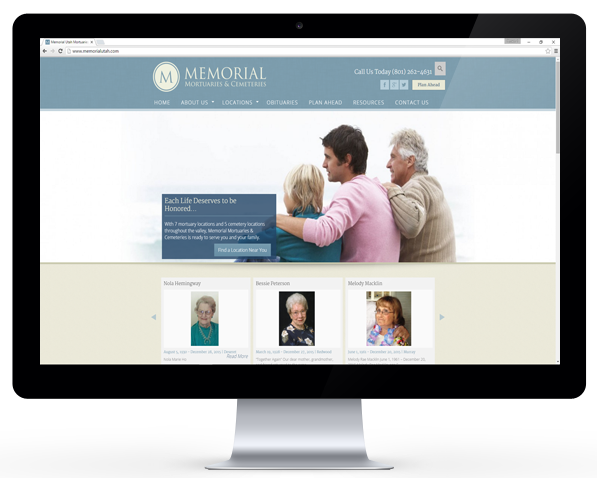 This website was redesigned to combine eight Mortuary and Cemetery locations throughout the greater Salt Lake area into one beautiful and functional website. The website was built off a custom designed and coded WordPress Template and features a responsive design. The site was constructed for ease of use and is easy to update on the back end. It features custom logins for each of its eight locations allowing location managers to upload and edit obituaries for their location. The site also features a blog and a full featured calendar of events. 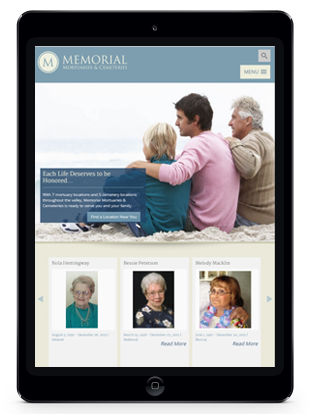 Memorial Mortuaries & Cemeteries is committed to providing excellent service to each family they serve. They offer funeral, cremation, and burial services in multiple locations throughout the greater Salt Lake area. They strongly believe that each life deserves to be honored and their service should reflect the uniqueness of the individual, they also offer grief counseling free of charge. We invite you to learn more about the Memorial family.